A charity is a type of business. That's why it incorporates before applying for tax-exempt status from the IRS. Although there are significant differences between a for-profit organization and a nonprofit, many of the same rules apply. And nonprofits need comprehensive planning just as much as a business. One of the most important tasks for any start-up nonprofit has to be the development of a business plan. How Might a Nonprofit Use a Business Plan? to serve as a compass for your organization so that you don't get off track. to apply for a business loan, especially if you decide to set up a store, gift shop, or another enterprise to help fund your programs. A business plan should grow and change as your organization matures, becomes more sophisticated and takes on bigger challenges. 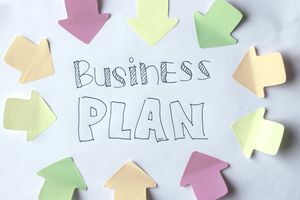 The business plan can be used throughout the life of your nonprofit, changing as the organization does. A startup's business plan may be quite brief while the business plan for a mature nonprofit may be quite long. Business plan formats for nonprofits vary according to the type of organization, but several elements are universal. Executive Summary: This is a concise overview of your entire business plan. Make it interesting enough to keep the reader engaged. Describe your nonprofit's mission, its history, your unique strengths, and assets. Provide a list of your products, services, or programs. Don't forget your marketing plans and how you will finance your organization both in the short and long term. Organizational Structure: Describe how your nonprofit is organized, from board to staff. Describe any subsidiaries, the stage of maturity your organization has reached, your objectives, plans to scale (or grow), and list a few of the trends in your specific nonprofit area. Products, Programs or Services: List and describe what products you may produce or distribute, what programs you will offer, and/or services you plan to provide. Include special features such as delivery processes, sources of products, the benefits of what you offer and what your future development plans are. Provide information on any copyrights, trademarks or patents your organization has protected. Explain any new products and services you will eventually launch. Marketing Plan: Who are you trying to reach? How will you reach them? Describe the constituencies you serve. What are the subcategories of your constituency? Explain the trends in your market, the need for your nonprofit's services, and what other organizations are competitors or possible collaborators. List your promotional efforts, market research, media outreach, communication channels. Include examples of your promotional materials in the appendix. Operational Plan: How do you plan to deliver your services? Where will your facility be located? Do you have equipment and/or inventory? Explain how you plan to maintain your operation and how you will evaluate the impact of your programs and services. Management and Organizational Team: Who is on your management team? Provide information about key management staff and their expertise. List the members of your board. Explain their expertise. Include an organizational chart. Explain lines of responsibility. Provide an assessment of current and future staffing needs, including how you will use volunteers. Capitalization: Explain your organization's capital structure. List outstanding loans, debts, holdings, bonds, and endowments. If there are subsidiaries, explain how they relate to the primary organization. Financial Plan: What is your nonprofit's current and projected financial status? What are your sources of income? Consider including an income statement, balance sheet, cash flow statement, and financial projections. Explain any need for financing. List any grants you've received, significant contributions, and in-kind support. Include your fundraising plan. Appendix: Include in your appendix resumes of key staff, board member lists, pertinent charts and graphs, promotional material, strategic plan, mission and vision statements, and annual report. Finally, don't let your business plan turn to mush just sitting on a shelf. Revisit and revise it frequently. You'll be glad you started your nonprofit with a well-thought out plan and that you kept it up to date.